“We have sent our messengers with clear evidences and sent down with them the Scripture and a balance that the people may maintain [their affairs] in justice” (Quran 57:25). “Surely, this Quran guides to that which is most just and upright” (Quran 17:9). The primary purpose of the Quran is to define the true set of beliefs with regard to the Creator and His creation, and to implement these beliefs in a system of laws that will benefit humanity in this life and the next. These are just two out of many verses in which the Quran describes itself. Those familiar with the subject matter of the Quran, no matter whether they recognize it as divine scripture, would agree that it is a book providing guidance for individuals, families, and society. It is a book that has profoundly influenced people around the world for centuries. The Quran continues to enlighten, and to change the lives of people from all walks of life. After simply reading a few passages of this magnificent book, a good number of people have embraced Islam. And the number of converts increases day by day. This is indeed one of the miraculous powers of the Quran. 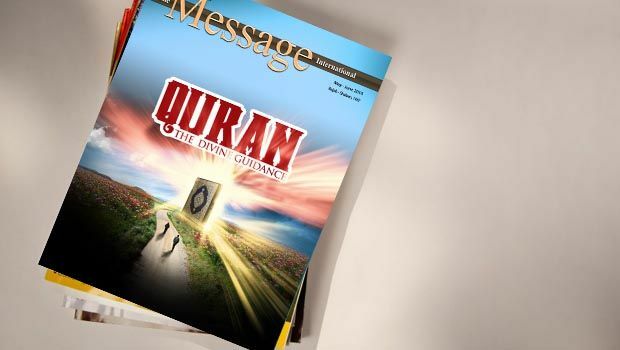 One analyst rightly says, “The primary purpose of the Quran is to define the true set of beliefs with regard to the Creator and His creation, and to implement these beliefs in a system of laws that will benefit humanity in this life and the next” (see “The Eternal Miracle of the Qur’an” by Yasir Qadhi in The Message International, May-June 2011, p.21). Interestingly, while there are people in the West who are obsessed with propagating a tag line that Islam oppresses women, those who convert to Islam in the West are overwhelmingly female. And these women are typically not unsophisticated individuals or social misfits; they are rather well-educated and accomplished. They have read the Quran, studied Islam, and made an informed decision. They were not deceived by those who spread fictions about the Quran. Instead they were moved to check it out for themselves. To quote Ustad Nouman Ali Khan, “This book has been attacked before and it will be attacked again. It is Allah’s word and no amount of criticism is going to take away from its glory” (see “Quran and Me,” in The Message International, May-June 2011, p.25). Any close and careful reading of the Quran reveals that this unique book presents a comprehensive system that balances human beings’ personal needs with the general good. It gives humanity a formula that speaks to moral and spiritual issues as well as practical, everyday affairs and aspirations. It has been said that there are three pillars upon which social justice in Islam is built: the absolute freedom of conscience; human equality as to worth, rights, and opportunities; and the reality of human and social interdependence. Each one of these pillars is necessary to the integrity and stability of social justice. Freedom of conscience, for example, allows the human being to choose voluntarily what he or she believes about God and the meaning and purpose of life. The one who chooses submission to God finds psychological and emotional liberation from thralldom to other people, material things, or any other earthly influence or relative power. That individual realizes it is Allah who creates man, provides him with sustenance, and holds him accountable in a final reckoning as to his belief and his deeds. Allah, the Almighty, says in the Quran: “Say: O people of the scripture [Jews and Christians], come to a word that is just between us and you, that we worship none but God, and we associate no partners with Him, and that none of us shall take others as lords besides God” (3:64). Interlocking with man’s freedom of conscience and right to choose his ultimate destiny is the principle of equality. Islam presents this principle to the world, that in spite of outward differences, all human beings are equal in human worth, in their basic civil, political, social, and economic rights, and in their claim to fair opportunity, without discrimination or politically imposed impediment. The Quran declares, “O people, We have created you from a male and a female, and formed you into nations and tribes that you might know one another. Indeed, the noblest of you in the sight of Allah is the most righteous of you. Surely Allah is wise and all-knowing” (49:13). This verse makes it clear that the diversity of nationalities, races, and cultures among human beings allows for greater discernment and understanding of the human condition. False notions of superiority set the stage for discrimination based on outward, superficial characteristics. This is nothing but folly, leading to injustice and conflict. The third pillar, human and social interdependence, is further commitment to mutual understanding and tolerance. Humanity is one family and each person is integral to the common good and social progress. This interdependence ties people together through empathy and affection; it also fosters positive, moral, and concrete action such as helping the needy and vulnerable. Social justice is one of the most important values and gifts of Islam, and Prophet Muhammad and his companions built a strong, stable society that reflected fraternity and fairness across the board. Those who want to understand firsthand, are invited to read the Quran, to experience for themselves the beauty and powerful appeal of Divine guidance and wisdom in its uncompromising call for social justice and peace.